Plan your holiday and book now! 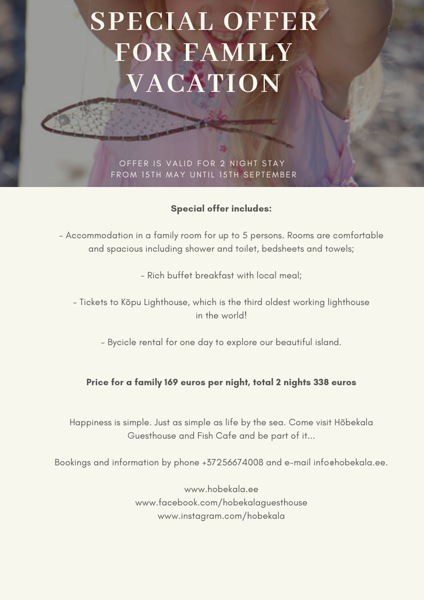 Offer is valid for minimum 2 night stay from 15th May until 15th September 2019. Please book the package at least 3 days in advance. 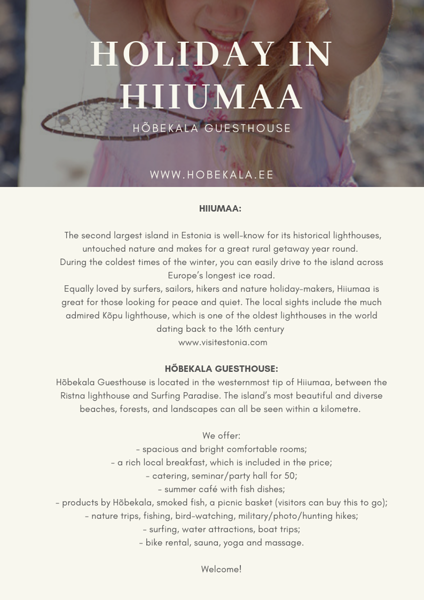 - Tickets to Kõpu Lighthouse, which is the third oldest working lighthouse in the world! - Bycicle rental for one day to explore beautiful island. HAPPINESS IS SIMPLE. Just as simple as life by the sea.